CHICAGO — Donald Trump will be elected the next president of the United States—if it were solely up to dry cleaners. 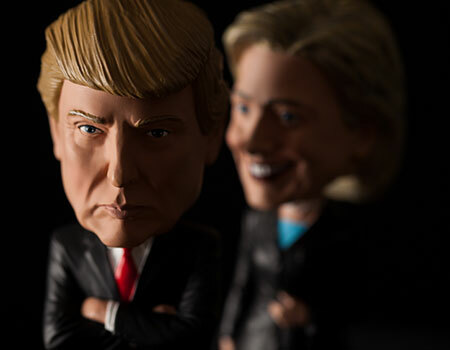 Seventy-five percent of respondents say they will vote for the Republican ticket of Donald Trump and Mike Pence today, while 19% will pick Democrats Hillary Clinton and Tim Kaine. Libertarians Gary Johnson and Bill Weld received support from 2.5% of respondents. Another 2.5% are “undecided,” 1% chose “other,” and Green Party candidates Jill Stein and Ajuma Baraka received no votes. Forty-two percent indicate that the economy has been most influential. Others: healthcare (12%), gun control (7%), homeland security (7%), immigration (7%) and the environment (1%). It is noteworthy that 24% chose “other,” with several respondents writing that they are influenced by “All of the above.” Other influences mentioned were taxation, integrity, Supreme Court justices, and the national debt. The Special Election Survey is a snapshot of the trade audience’s view. Qualified subscribers to American Drycleaner e-mails were invited to participate anonymously in the unscientific poll. Overall, taken from identical surveys posed by American Drycleaner sister publications American Coin-Op and American Laundry News, Trump also is the clear favorite. Among respondents representing the combined vended laundry, drycleaning and institutional/industrial laundry segments, 73.6% will vote Republican today. Roughly 19% will vote Democrat, 2.3% will vote Libertarian, and 0.3% support the Green Party. Three percent of respondents across the textile care industry are undecided, 1.3% chose “other,” and 0.6% say they will not vote.